Catering, Food Preparation, Beer Products, Buckets, Air Tight Containers, Plates, Cups, Trays, Ice Cube Makers. Injection & Blow Moulding Plastic. EPI Plastics New Zealand. Beer, Food and Catering Products, Keg Caps, Beer Bottle Holders, Chopping and Cutting Boards, Buckets, Food, Air Tight Containers, Plates, Cups, Trays, Ice Cube Makers. 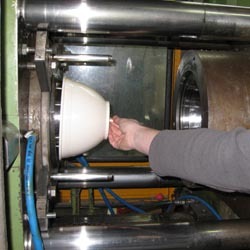 Injection & Blow Moulding Plastic. Below is a list and description of most of our Catering, Beer and Food Product Range.Please note EPI doesn't sell direct to the public (except promo products) if you can't find the product at your local shop tell them to contact us, or if you are a reseller, retailer, manufacturer, wholesaler please contact us: Profit from our Products!! Soft plastic cap for the top of kegs. Made from Foodgrade BPA free plastic in our HACCP facility. For D style couple (Sankey). Our standard stock colour is Yellow. We are the manufacturer of this product and can make a huge variety of colours for you. However, we don't hold these in stock. Generally we are running the key cap (yellow) and can change colour with a minimum order quantity of 2000. Stock item in boxes of 1000 (MOQ). Made from Foodgrade BPA free plastic in our HACCP facility. Made in New Zealand. Adhesive resin domed tap badge labels. This is for the branding on top of the taps at a bar. Usually between 70mm wide and 80mm wide, depending on the tap. However, we can make other sizes. The tap badge pricing is current as of August 2016, however, we reserve the right to change this from time to time. Please get a quote. The price is for one style of tap badge, for example 100 tap badges of 5 styles would be charged at the 20 unit rate. Turn around time is approx 10 working days from the artwork being signed off as ok. Sometimes we are able to do it quicker. Small tray available in a variety of colours. Note. Stock colour WHITE. Although we can make other colours to order. MOQs apply for other colours. Fits in Refrigerator door. Calibrated. Turn the lid to open and close. Lids available in white, black, green. Made from Foodgrade BPA free plastic in our HACCP facility. Another very popular product which makes small cute ice cubes. We have limited stock available. Normally manufactured to order. MOQs apply. Made from Foodgrade BPA free plastic in our HACCP facility. Made from Foodgrade BPA free plastic in our audited HACCP facility. Also good as a rubbish bin, we have a number of coffee roasters using them for bulk bean storage. Stock Lids White, Blue, Green. Height 90mm, diameter 100mm (top). Height 114mm, diameter 120mm (top). Height 125mm, diameter 125mm (top). Height 144mm, diameter 136mm (top). Shallow dish divided in three ideal for 3 different foods. Two conainers that stack on top of each other held together with a handle. The Containers can be sold separately. Microwave Safe. Stock colour cream. Note a stock item. Made to order, minimum quantities apply. Microwave safe. Calibrated measurements on inside. Cereal or rice bowl. Cute. A little plastic tumbler, set of 6 with a lid. Multi colours or single colours. Note - individual tumblers can be purchased wholesale. A very small clothes basket-like container, excellent for storage or small rubbish basket. Limited Stock. Not a stock item, can be manufactured. MOQs apply. Available in a variety of colours. This is not a stock item but can be made to order - minimum order quanities. Ideal for kitchen or office. Director: Norman Wood Street Address: 225 Kaikorai Valley Road, Dunedin.